Bird with gold on chain. Solid silver bird with gold detail. 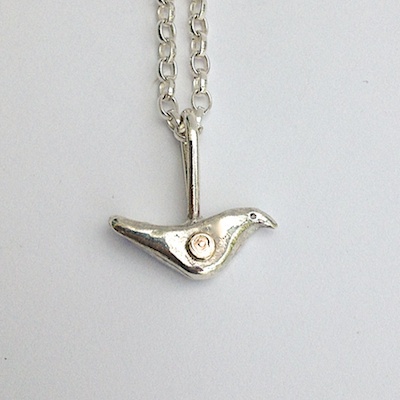 Solid silver bird with 18ct gold detail. The bird measures approx. 25mm to tip of the beak to the tail and approx. 25mm from the top of the loop to the base of the bird. The chain is 45cm (18"). If you would like a differnet length chain please get in touch.